When the phase of the Moon is good, we observe every possible evening/morning. 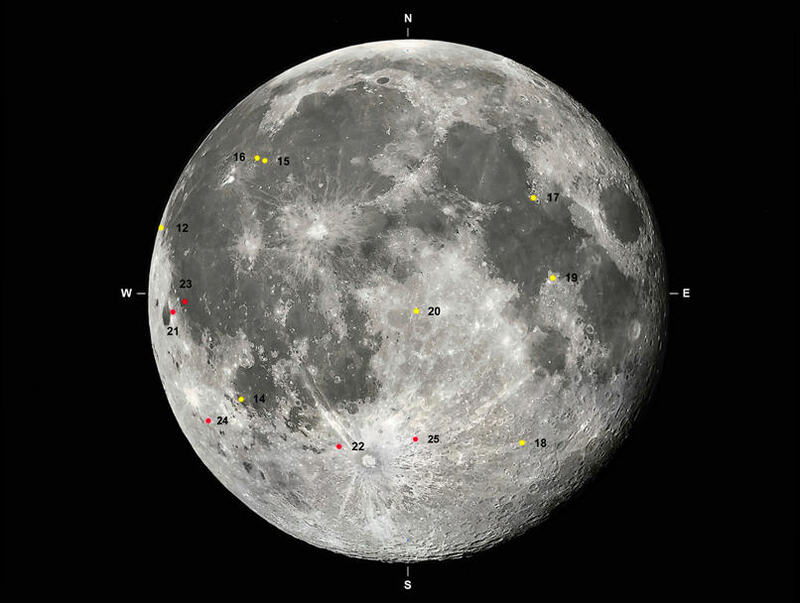 We observed so far for 209 h 22 m at the evening (past new moon) and for 105 h 45 at the morning (pre new moon). The rate of detected impact candidates at the evening is 1 every 14 h; at the morning 1 every 10 h.
In several time windows we observed with only one instrument. In those periods we detected some candidates with the characteristics of true impacts but they were not confirmed by a second instrument. We saved those data for future analysis. We have not reached our results without the valuable help of various people. Raffaello Lena, George Varros and Peter Gural. We thank them very warmly.